Our Chinese set top box which also provides internet over Wifi - it has a Wifi router builtin. 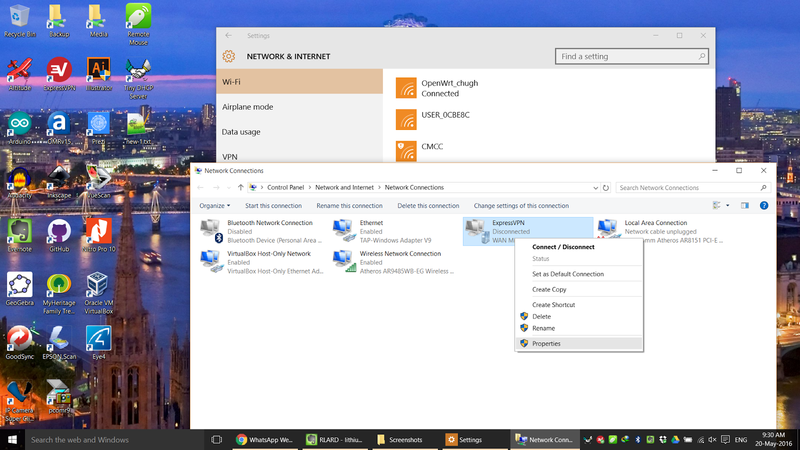 My TL-MR3020 connected to my laptop's Ethernet port. I want my TL-MR3020 (runs OpenWrt) to access internet unrestricted. Get a paid ExpressVPN account. 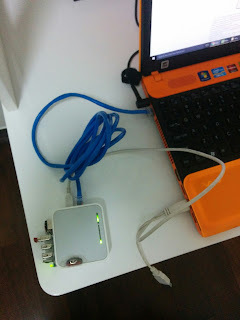 Connect your Windows laptop to your home WiFi router - in my case the WiFi Router is built into the Cable TV set top box. 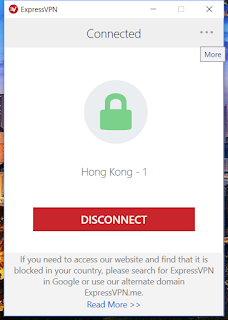 Download and install ExpressVPN client. 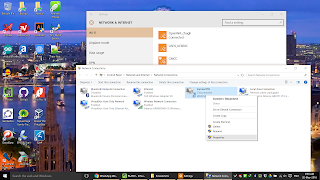 Login and test if VPN works on your laptop. 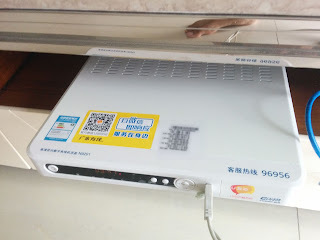 The VPN connects through WiFi. Our laptop's ethernet port is free. So connect a straight LAN cable between your TL-MR3020 router and laptop. 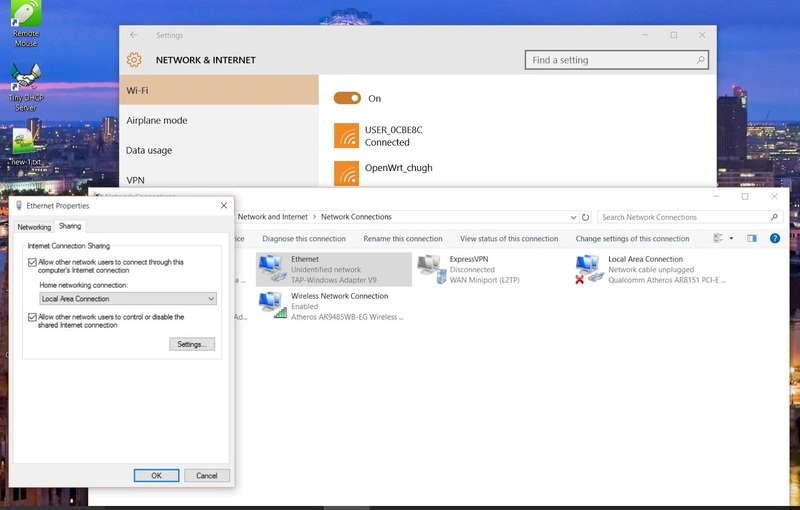 Make sure the router is configured to receive an IP address over Ethernet using DHCP. Share your VPN connection. 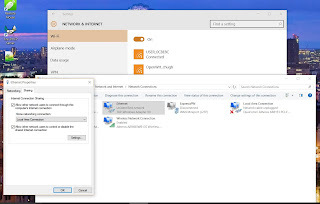 Express VPN creates a virtual TAP Ethernet adapter. We need to share that internet connection. Run TinyDHCP server on your laptop. 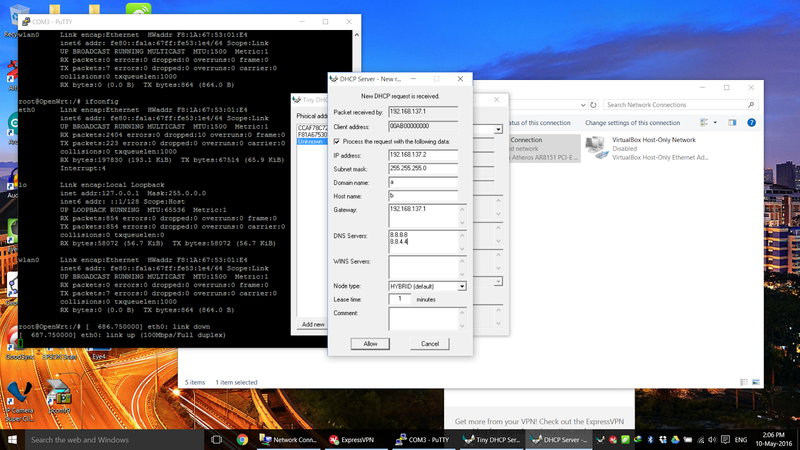 This will turn your laptop into a DHCP server and assign IP address to your TL-MR3020 when it requests it. Power on your TL-MR3020, wait for a while, then SSH into it over serial (if you have soldered a FT232RL widget to it) or using PuTTY over TCP/IP and check if it is able to access the internet using ping (# ping www.google,com). 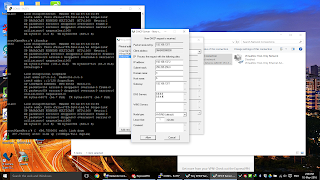 When the TL-MR3020 turns on, it requests the laptop for an dynamic IP address. 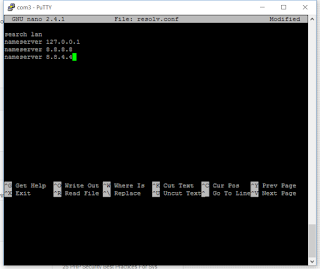 Editing resolv.conf to add entries for Google's Public DNS servers.